There's a lot of money that flows from pocket to pocket in a city like Macau. There's millions in gambling done every single day. And this train here, the Betton, is a high-stakes, high-speed, high-flying pile of technology with its own personal casino on board. You could hit a place like this pretty hard, walk out with a lot of cash in your pockets. Needs to be fast. Needs to be frictionless. There's a crew coming together, under the auspice of this lady, calls herself The Dealer. She's got a gang together looks like it could hit anything... though I don't know how they plan on dividing up the loot. 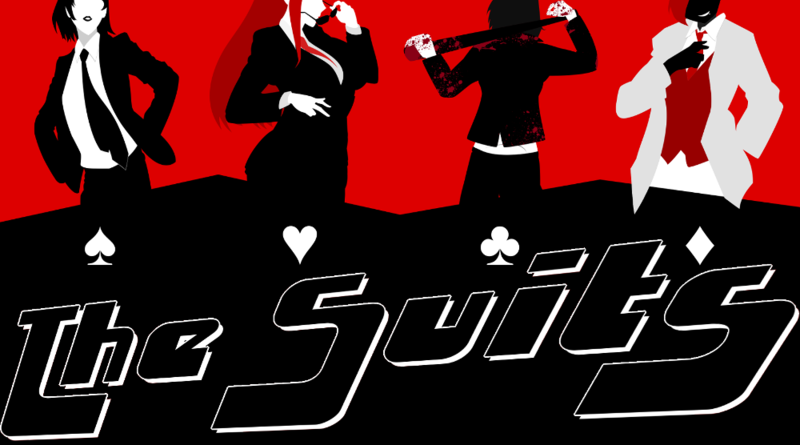 The Suits is a cooperative-competitive one-session tabletop roleplaying game for 3-9 players. All you need to play is a handful of coins and a deck of playing cards. You and your friends will sit down and play the crooks hitting the Betton and making out with millions in untraceable cash, trying to decide between loyalty to the Crew, or to the gang you favour. The Suits is a roleplaying game that passes the role of storyteller around the table, giving everyone a turn, but also taking the pressure off everyone. There's no need for lot of planning or character sheets, and players can roleplay a lot, or a little, depending on how they feel about the experience. This makes it a good place to start for players who want to get into roleplaying. Added to that is a dash of voting and lying. The Suits takes about twenty minutes to half an hour to play out, and is good for players aged 12 or more. Younger than that, they may have a hard time concocting scenarios based on the prompts they're offered.